Freda Sehnert was born in or near Erfurt, Germany, in 1892 to Richard and Anna (Grassman) Sehnert (see companion webpage). 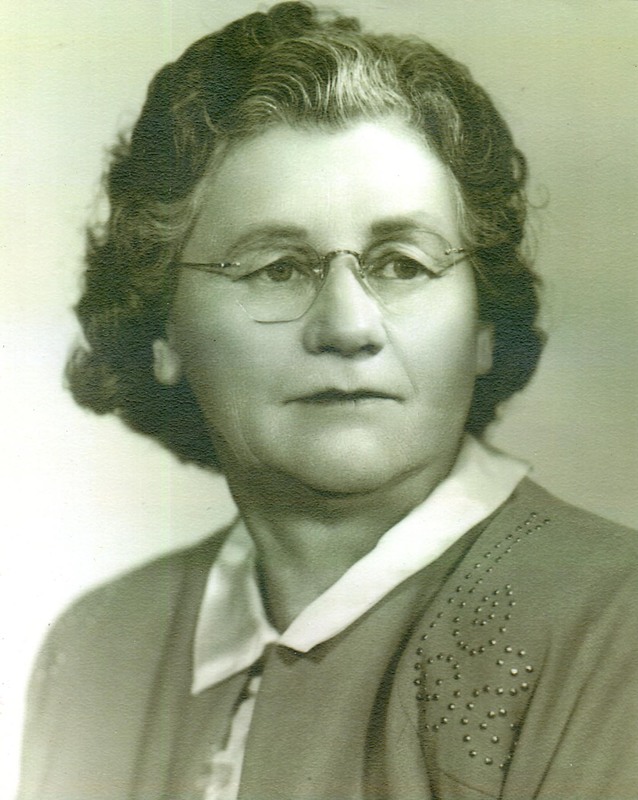 Her parents immigrated to South Dakota when Freda was less than two years old. She met her first husband, Walter Claude Grimshaw, while living in Presho. They were married in 1917 and had two children, George Richard and Walter Claude Grimshaw, who later changed his name to Claude Walter Grimshaw. Walter Claude Sr. died of pleurisy in February 1920, eight months before Claude Walter was born, in October. Freda later remarried, to Joseph Ornan Bice, and this couple had one son, Stanley Ellsworth Bice (see companion webpage). 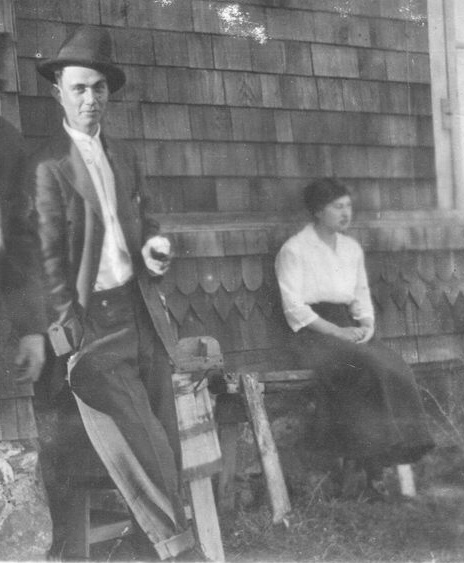 After her marriage to Walter, Freda lived in Oacoma, where she apparently met and married Joe Bice after Walter’s death, and she lived out her life in the Oacoma vicinity. She died in 1964 and is buried with Joe Bice, who died in 1978, in Riverside cemetery, near Chamberlain. Her first husband, Walter Grimshaw, is buried in Presho, near the graves of his parents, George Thomas and Aris (Ladd) Grimshaw. 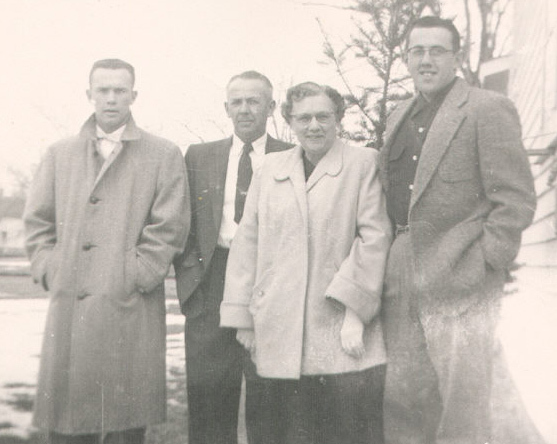 One of the highlights of Freda and Joe Bice’s lives together was apparently a trip they made to Acapulco, Mexico, in the early 1950s with their close friends, Ben and Vera Rasmussen (and Vera’s son, Dr. Boyce, and his wife). This trip was carefully documented with photos that were assembled in an album obtained while they were in Mexico. 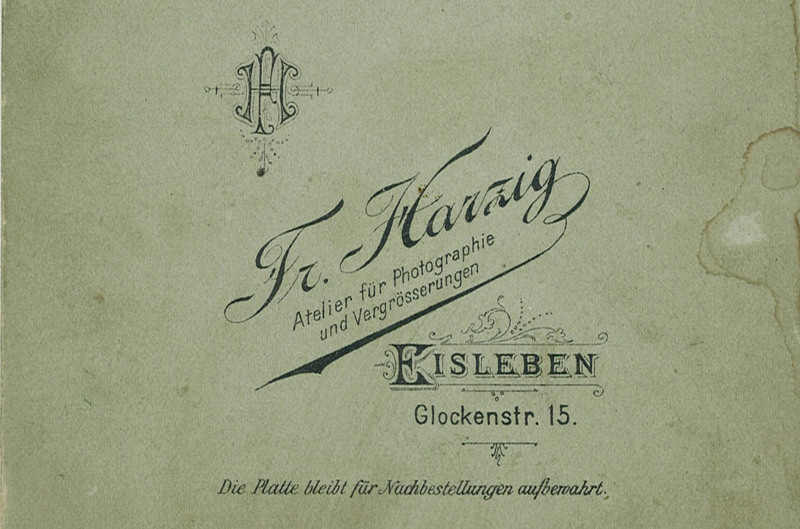 The trip and associated album are described below and are the subject of a companion webpage (in preparation). |–|–|–3 Richard Sehnert (1862 – 7 Jan 1924) & Anna Grassman (22 Feb 1865 – 16 Nov 1932). |–|–|–|–4 Freda Elaine Sehnert* (16 Jun 1892 – 4 Jun 1964) & Joseph Ornan Bice* (30 Oct 1894 – 1 Jan 1978). Married 29 Oct 1921. Richard and Anna Sehnert were married in Erfurt, Germany, in 1892. They heard of all the free land and wonderful opportunities in the United States so they decided to come with their three children, Elsa, Paul and Freda, to take up a homestead at Dirkstown, Lyman County, S. Dak., where they lived a few years. 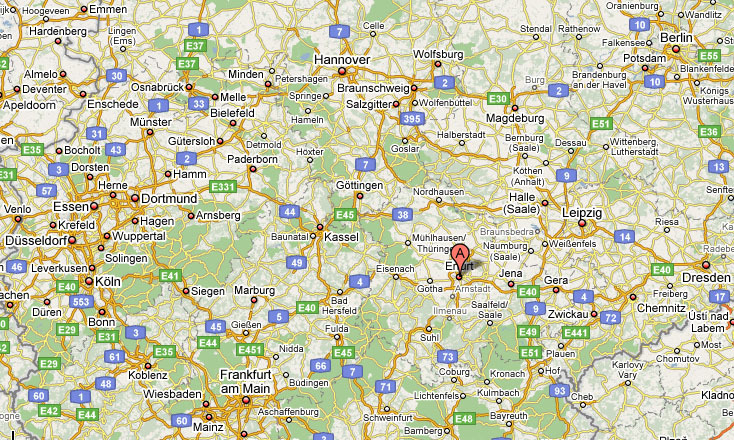 Here sons Richard and Otto were born. Due to the scarcity of water and range land, they moved on a farm south of Oacoma at the mouth of White River where they resided until 1906. In the spring of that year, Mr. Sehnert decided that farming was not for him, being a baker by trade. He with his family of eight children moved to Presho and started a bakery which has been in continuous business by members of the family. In those early years the baking business was a difficult one, without machinery or electricity. All the mixing was done by hand and the oven was fired coal or coke which made the shop a very hot and uncomfortable place to work. For many years, in conjunction with the bakery, Sehnerts served meals ranging in price from 25c to 50c. The cafe was discontinued in 1924 at the time of Mr. Sehnert’s death. Mrs. Sehnert continued the bakery with the help of sons and Louise. In 1932, Mrs. Sehnert passed away. Rudy and wife Christine operated the bakery for a time and in 1933 Carl and Louise bought the establishment from the Sehnert estate and have operated since that time. 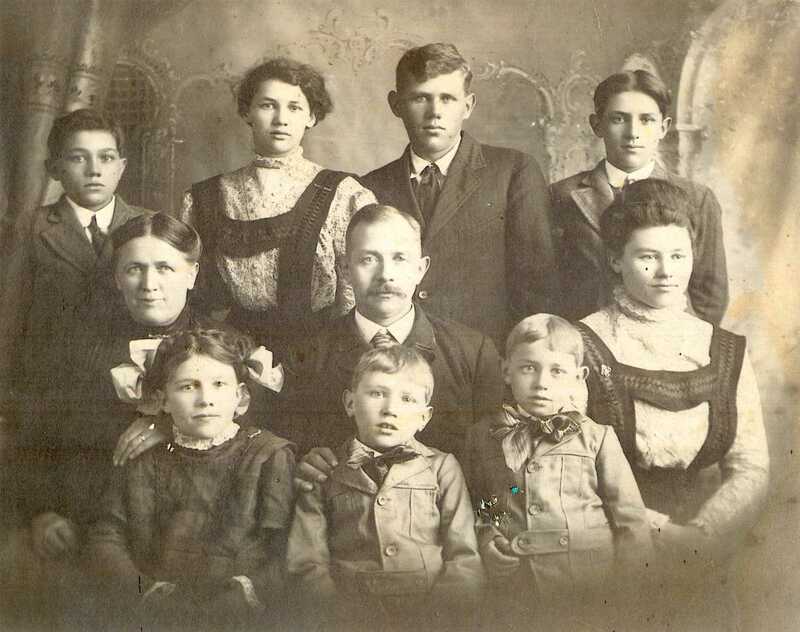 Mr. and Mrs. Sehnert’s eight children were some of the Presho and Lyman County’s early settlers and have taken part in many activities of the community. 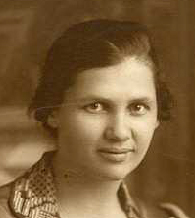 Elsa (deceased) married Ray Scott. Their five children are Raymond, Pat, Darlene, Glen and Robert. 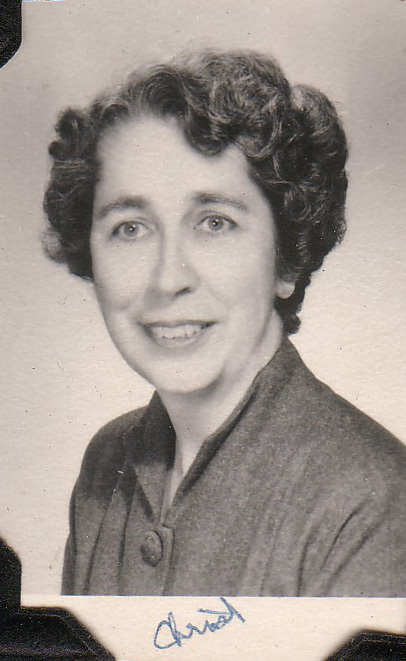 Freda (deceased) married Claud Grimshaw. Their family consisted of two sons: George and Claud. 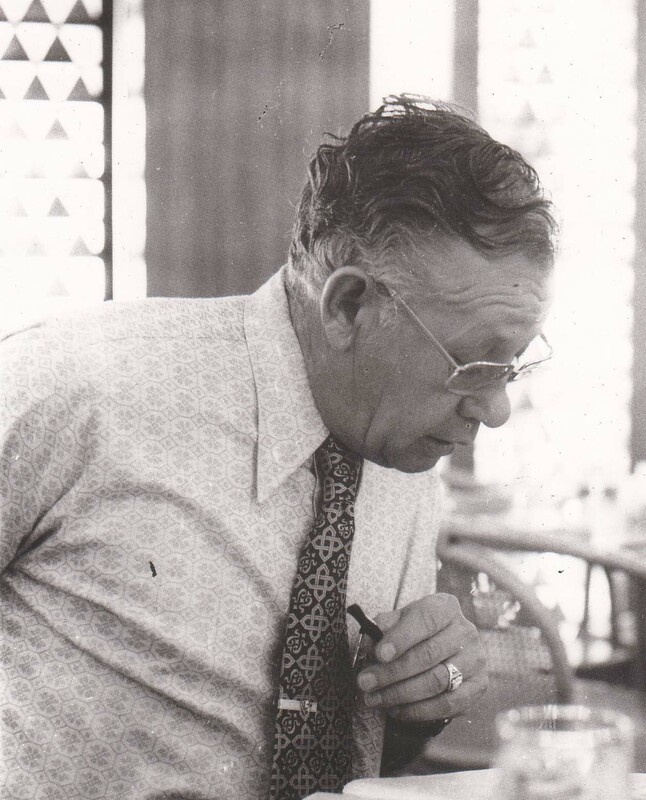 Claud, Sr., passed away and after a few years Freda married Joseph Bice. One son, Stanley, was born to them. Paul lives in Clark, S. Dak. He married Wanda Ziegford and they had three children: Ralph. who lost his life in WWII, Melvin who lives near Clark, and Laura Gross who lives at Crandall. Otto married Ruth Wade. Both have passed on. Their son, Keith, lives in Lincoln, Nebr. Richard is married and has five children: Robert, Maurice, Connie, Patti and Cheryl. Rudy married Christine Matz. They have two daughters, Marilyn and Eileen. 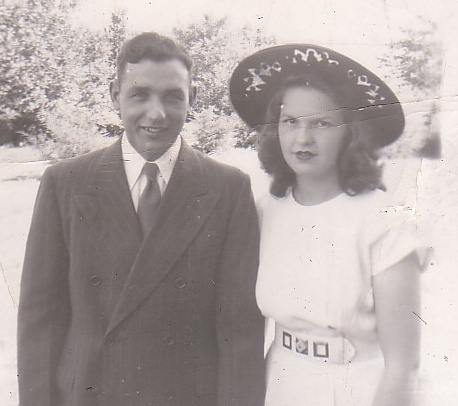 Louise married Carl Garnos and they have operated the original Sehnert Bakery for 33 years. They have two sons: Verle Robert married Patricia Langland (they have two daughters, Kristin and Kara, and live in Fremont, Nebr. ), and Gordon, who married Beth McFarlane of Chester, England (they have three children, William, Heather and Richard Nels and they live in Watertown, S. Dak.). Walter married Lenita Ackerman. They have a son, Walter, who is married to Jean Leisy (they have three children). Judith married Philip Olson who passed away in August 1966. Four children were born to them. 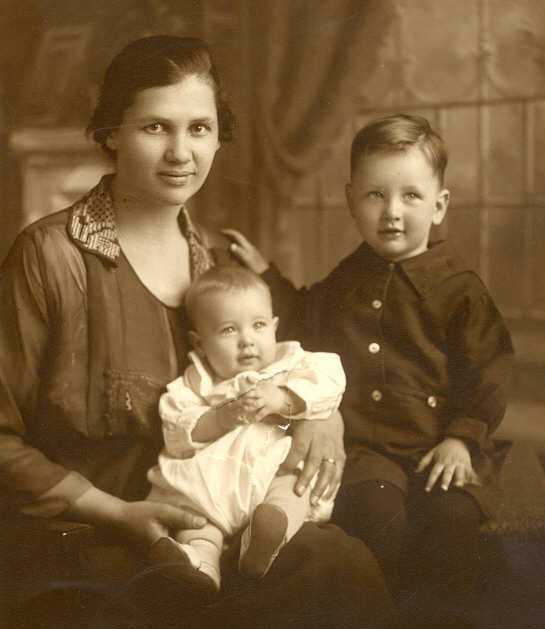 Freda Sehnert and her two older siblings were born in Germany; the six younger children were born in South Dakota after the family immigrated sometime between 1892 and 1896. The youngest child, Raymond, died in infancy and is apparently buried at an unmarked location near Oacoma. Freda arrived in South Dakota with her parents when less than two years old (see companion webpage). The family lived first in Dirkstown, a now-extinct town near Reliance, then on a farm on the White River “bottom” (floodplain) just upstream from the confluence with the Missouri River. Her parents decided against farming life, however, and returned to her father’s family bakery background going back to their German roots. They moved to Presho and opened a bakery and cafe, which they operated until the death of Richard Sehnert, Freda’s father. 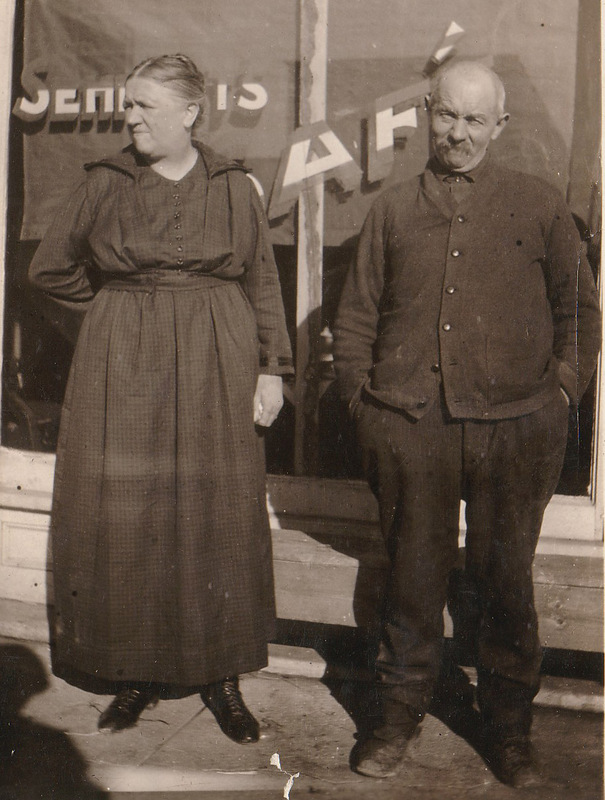 Apparently while the Sehnert family was living in Presho, Freda met and married Walter Claude Grimshaw, and the couple was married in April 1917. They subsequently lived in Oacoma, where they operated a café and bakery. Their first son, George Richard, was born on March 27, 1918. However, Claude contracted pleurisy in early 1920 and died in February. 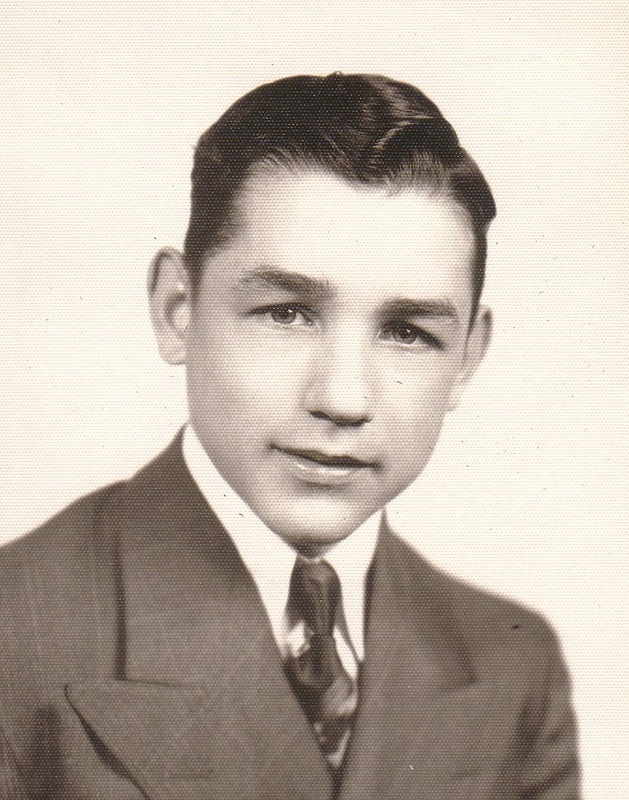 It is unlikely that he knew that a second child “was on the way;” son Walter Claude (who changed his name to Claude Walter as an adult) was born on October 5, 1920 in Lesterville, South Dakota. Freda apparently went there to be with sister-in-law Eva (Grimshaw) Thomas and husband __ Thomas. Freda’s first husband, Walter is buried near his parents, George Thomas and Aris (Ladd) Grimshaw in Presho (see companion webpage). Walter Claude Grimshaw (probable) and his wife, Freda Sehnert (probable). These are the only known photos of Freda with her first husband. The identity of Freda is established by her appearance in comparison to other photos. Walter Grimshaw’s identity is surmised based on his appearance, his clothing, and, especially, the notation “WCG June 1918” on one of the photos. Upper (and probably also lower) photo taken in April, 1916. Freda and Walter were married in 1917, after both the April and June 1916 pictures. Photos from album of Freda and Joe Bice. Thanks go to Fay Bice for making the album available. 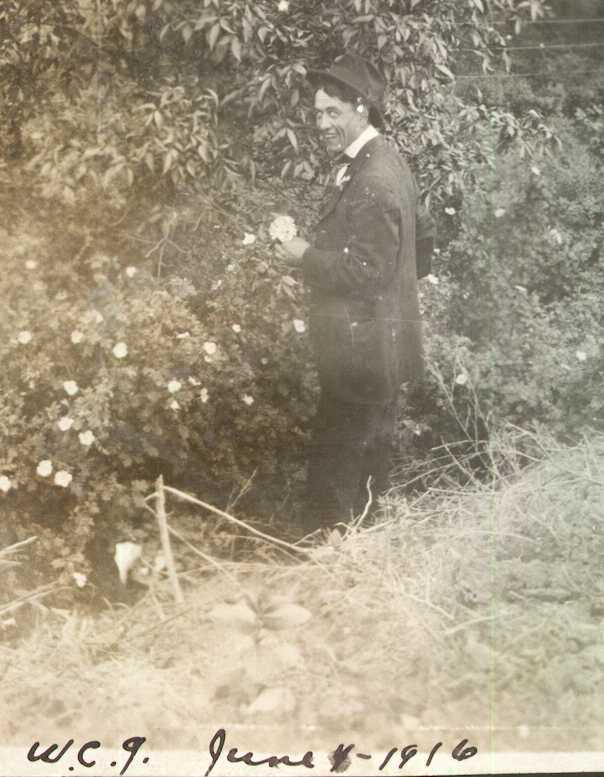 Photo of W.C. Grimshaw picking flowers in 1916. Initials and date probably written by his wife, Freda. Note the same hat and coat as in the two photos above . Photo from album of Freda and Joe Bice. Thanks go to Fay Bice for making the album available. Freda subsequently remarried, to Joseph Ornan Bice, and they had one additional child, Stanley (see companion webpage). The three boys were raised together in Oacoma and attended public schools there. 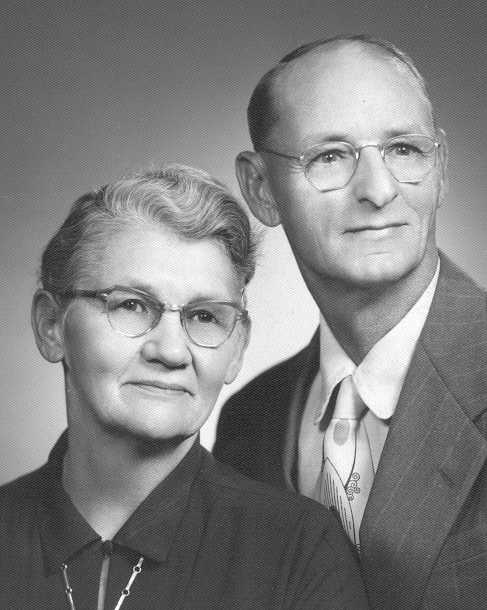 Joe and Freda Bice are described in more detail in a companion webpage. Joe Bice was born in South Dakota and lived his entire life in the area around Oacoma. 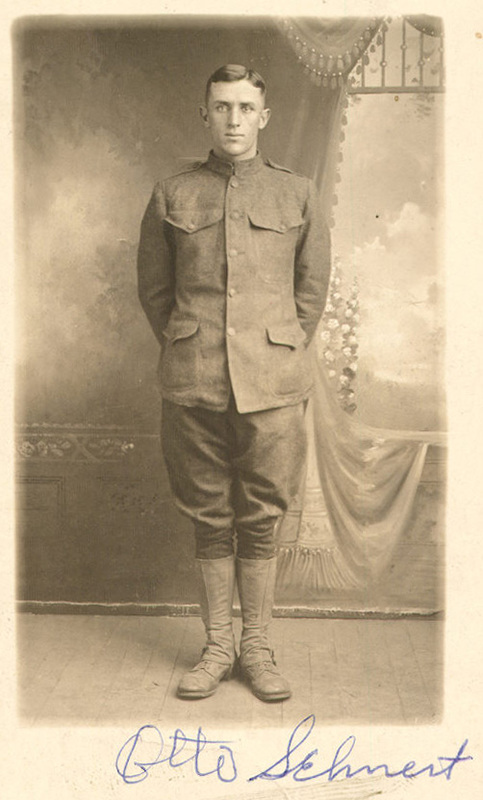 He served in the U.S. Army in World War I. Joseph’s middle name was after his grandfather, Ornan Somers. Joe and Freda lived on the northwest corner of the main intersection in Oacoma, next door to an automotive garage and gas station owned and operated by Joe. Probably at the time that U.S. Highway 16 was completed on the south end of Oacoma, Joe opened a replacement gas station and garage about two blocks west and one block south of the first garage. The couple also operated a restaurant and tourist cabins for travelers on Highway 16, the main artery across South Dakota from Sioux Falls to Rapid City. Joe and Freda moved initially to a home at this location and then to a former dairy farm west of Oacoma, across the Highway 16 bridge across American Crow Creek. Joe operated the gas station and garage until it was taken over by his son, Stanley Bice. 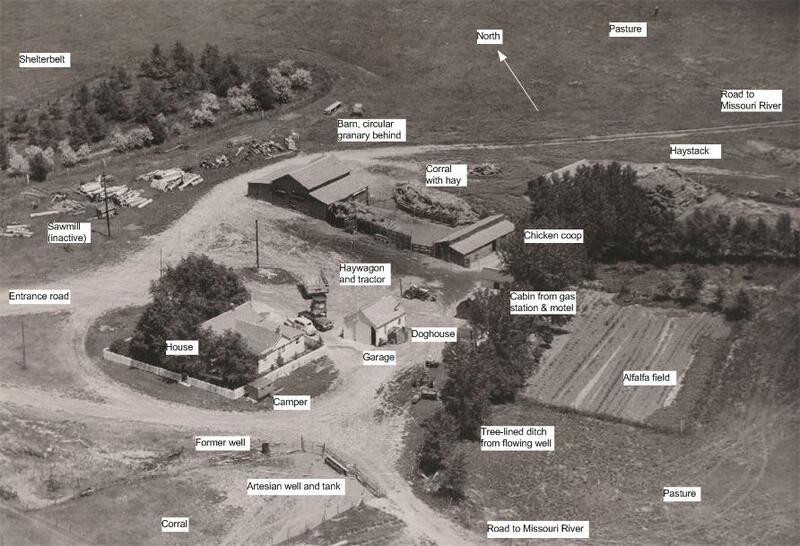 Joe apparently then operated the farm, which was severely curtailed when Fort Randall dam was built on the Missouri River and much of the farm (including Bice Island) was inundated by the reservoir, now called Lake Francis Case. 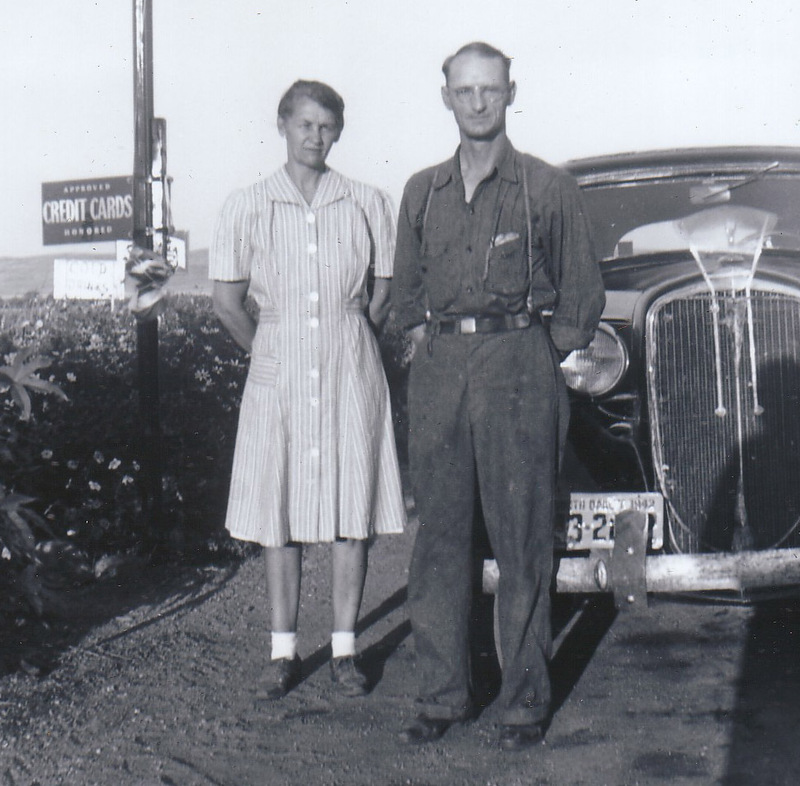 Joe and Freda lived on the former dairy farm for many years after their move to that location. 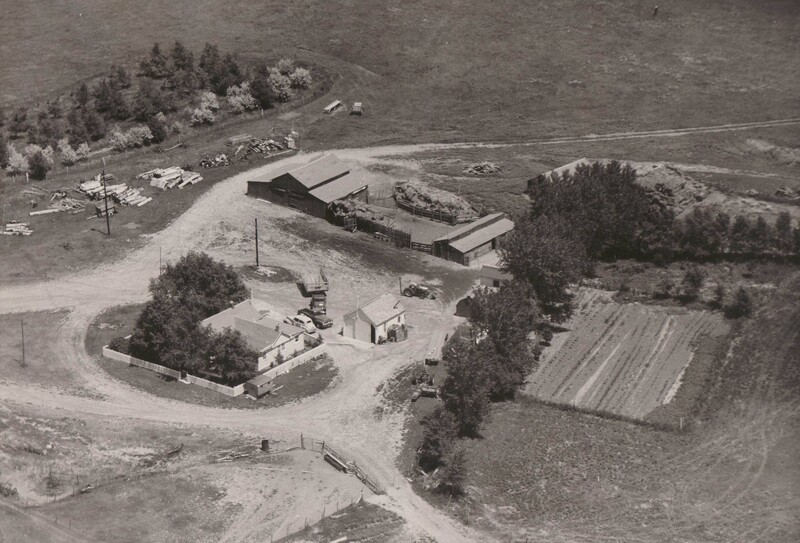 Aerial photos of this farm are shown below. Bice Farm on GoogleEarth, 2009. Most of the building on the above photos are gone and have been replaced by new buildings. The tree line along the “artesian ditch” leading to American Crow Creek can be clearly seen. 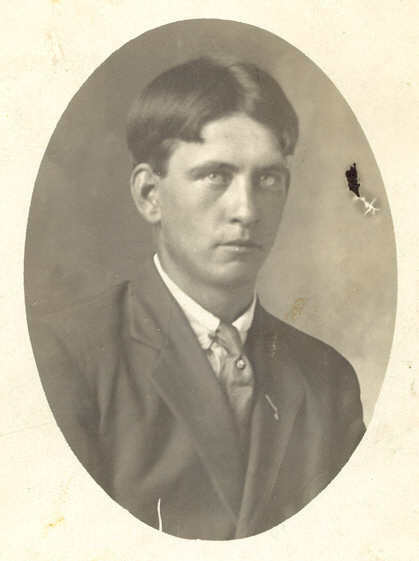 George Grimshaw, Freda’s oldest son, grew up in Oacoma and attended public schools there. He married Judy Burger and served in the U.S. Navy in World War II in the Pacific Theater. The couple lived in Oacoma and other locations in South Dakota, but eventually settled in Bremerton, Washington (which they apparently became familiar with during the war years), where they lived out their lives. They had two children, an older daughter, Dixie, and younger son, Gary. The son lost his life in a motorcycle accident while serving in the U.S. Army. Dixie still lives in Bremerton. Walter Claude Grimshaw changed his name to Claude Walter. Like his brother George, he grew up in Oacoma and attended public school there. 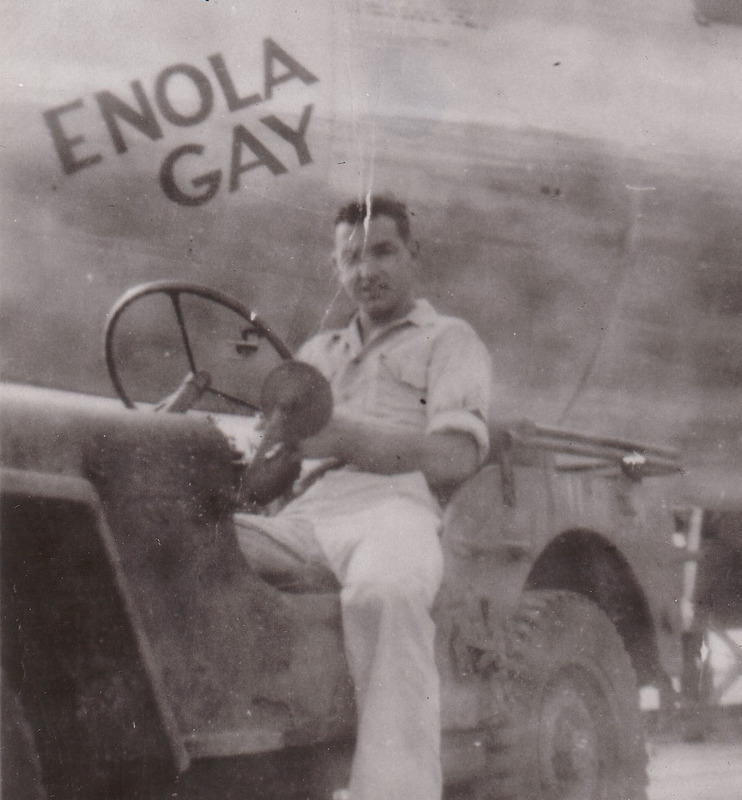 He also served in the U.S. Navy in the Pacific Theater in World War II, during which time he married Phyllis Rogers (whom he had met in Oacoma) in San Jose, California in 1942. Claude and Phyllis Grimshaw’s lives are described on a companion webpage. 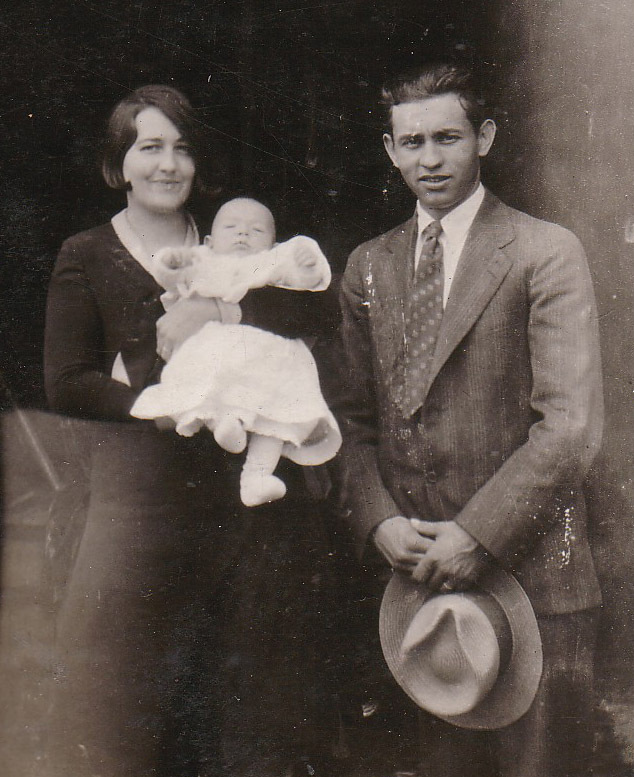 Stan and Fay (Sloat) Bice. From Bice Album. 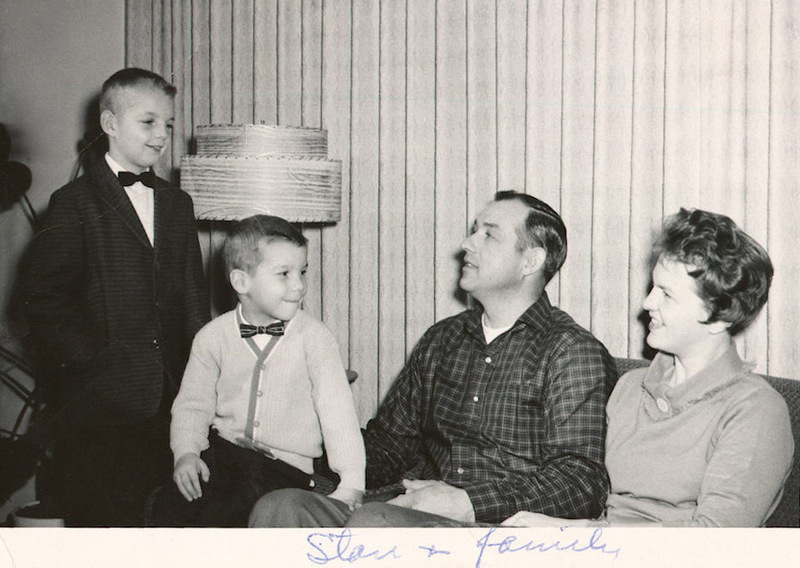 Stanley Ellsworth and Fay (Sloat) Bice with children David (left) and Samuel Joseph. Photo dated December 1959. From Bice Album 1. Labelled by Freda or Joe Bice. [In preparation.] 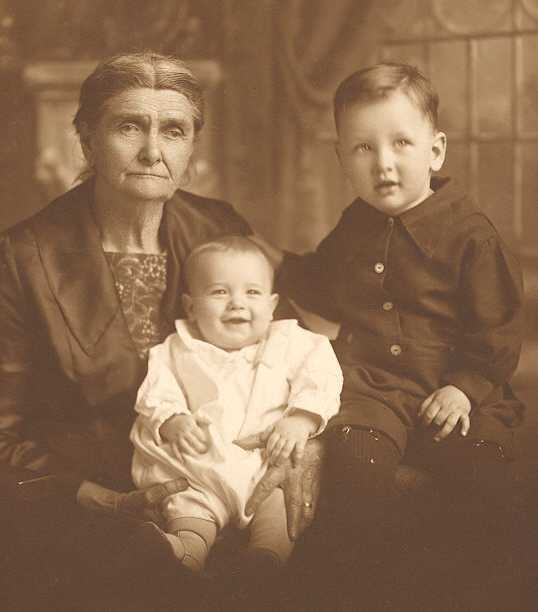 Only known photo of Freda’s sons together as adults. 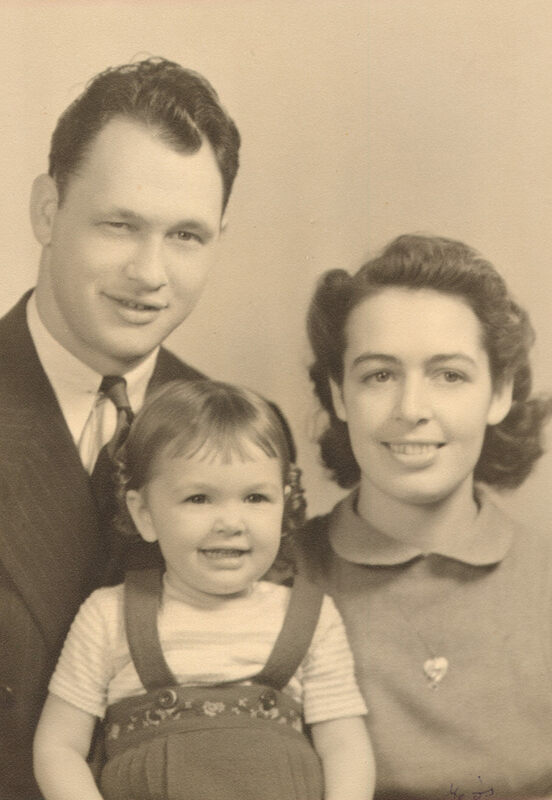 Freda’s parents, Richard Sehnert and Anna Grassman, were born and raised in Germany (see companion webpage). They were married in Erfurt, which is located southwest of Berlin, sometime before the birth of their first child, Elsa, in 1886. 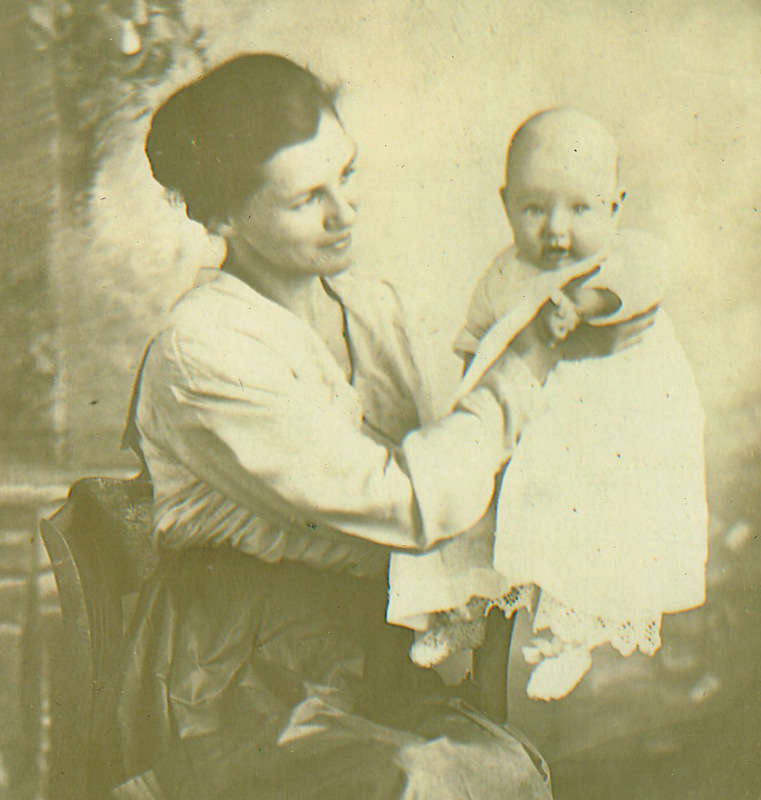 After their third child, Freda, was born in 1892, the family immigrated to the U.S. and settled in South Dakota. Their fourth child, Otto, was born there in 1896. The family lived in a couple of locations in South Dakota before moving to Presho and opening a cafe and bakery. They had nine children, all but one of whom (Raymond) lived to adulthood. Richard and Anna operated the bakery for many years. They lived out their lives in Presho and are buried in the cemetery there. Richard and Anna (Grassman) Sehnert in front of their cafe in Presho. Photo from Freda Bice album. A few notes and photos of Freda’s siblings are provided below; additional detail is provided on her parents’ webpage (see companion webpage). Elsa May (Sehnert) Scott and Raymond B Scott (“Father – Ray B Scott – 1943 – Hollywood Calif” on photo). Pictures from Bob Scott, Pierre, SD, August, 2005. “Otto Sehnert”. From Bice Album 1. Cropped to include Freda (Sehnert) Bice handwriting. 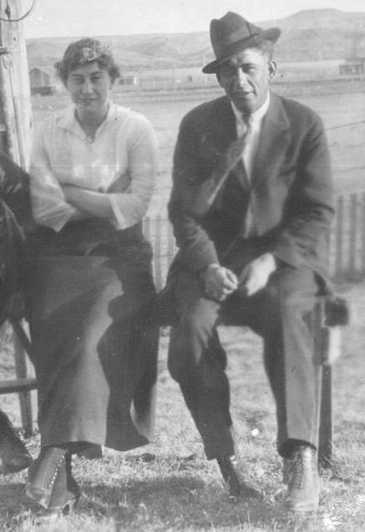 Walter and Lenita Sehnert. Labeled “Walters” in Bice Album. Died in infancy. Buried in unmarked grave near Oacoma, SD, according to family lore. The location is no longer known. 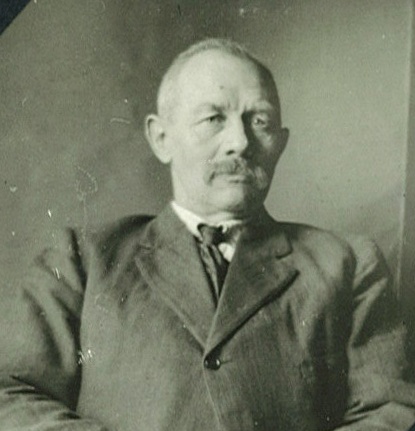 Photo of Freda’s grandfather, Johanne Gotthilf Sehnert. 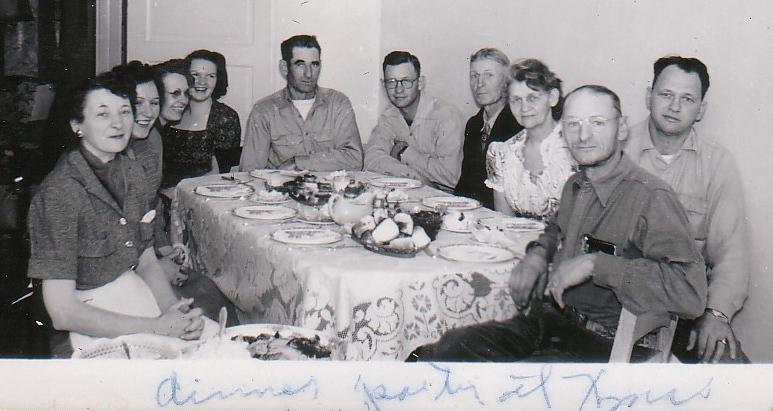 Not much is known of the Sehnert family in Germany prior to their emigration to South Dakota. 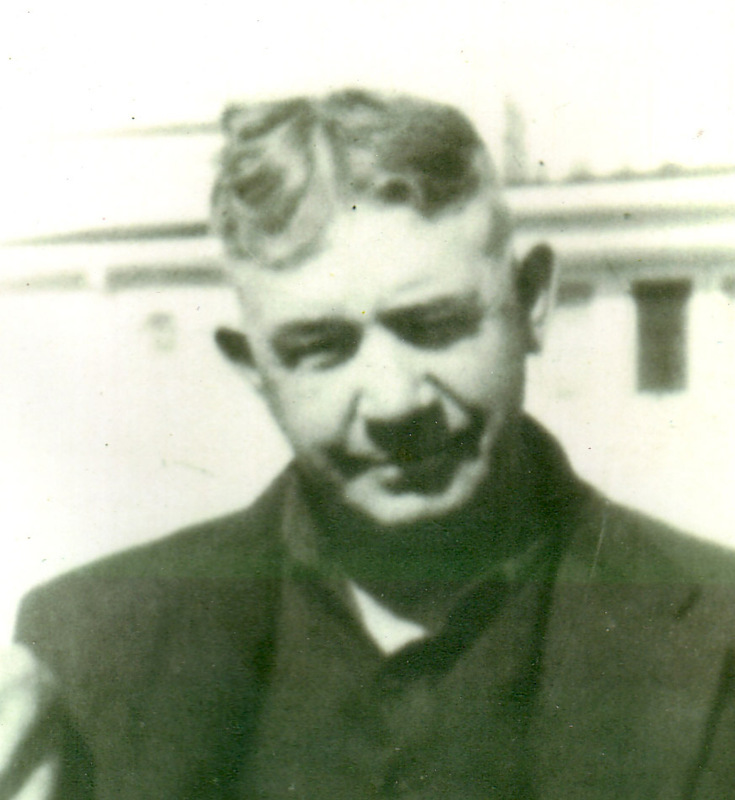 A photo of Freda’s grandfather is shown below. 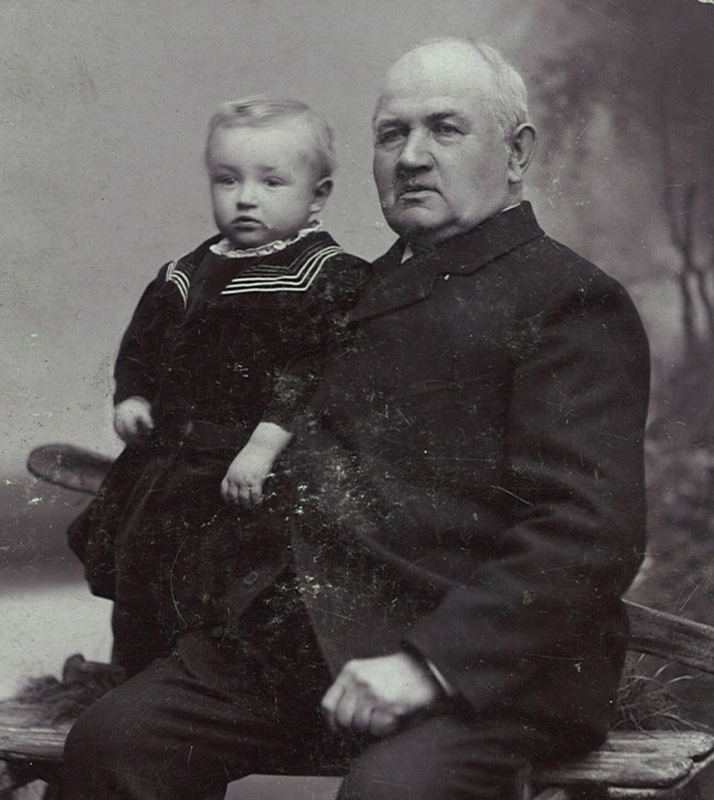 Freda’s grandfather, Johanne Gotthilf Sehnert and unknown boy. Johanne was identified by the notation on the back of the photo, shown below the photo. The boy should be identifable, but has not been yet. From Bice Album 2. Also included in Bice Album, but not in as good condition. Two of Freda’s children, Claude Grimshaw and Stan Bice, had rich careers in the earth drilling business. Shown below is a photo of Stan Bice with a George F Casey drill rig, almost certainly taken at the manganese mine location northwest of Oacoma is shown below. 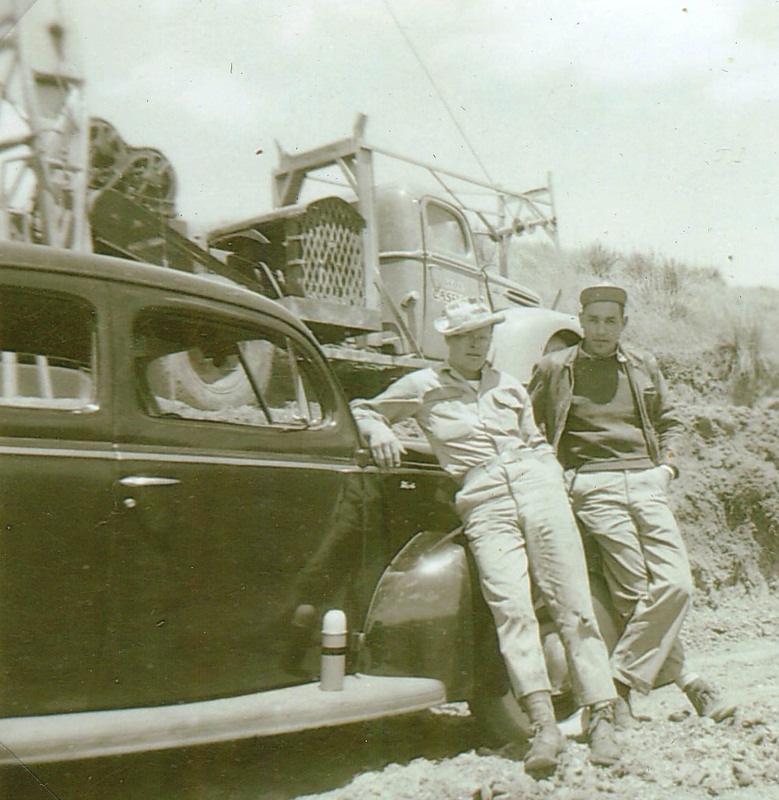 The photo is labeled “Stan and Don Young, 1946” in the album. The drilling experience with this bucket auger rig at the manganese mine by Stan and Claude formed the seeds of two lifelong careers in the earth drilling and water well construction business. 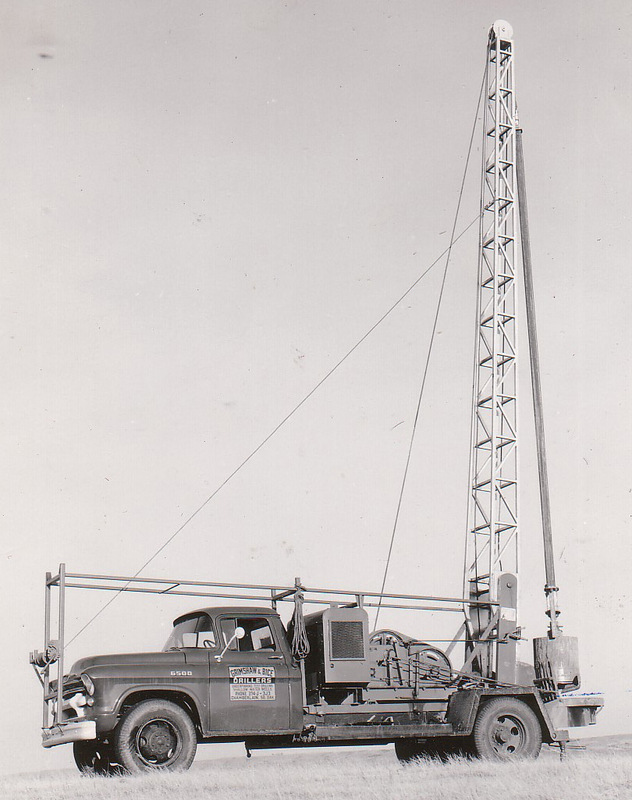 According to family lore, Stanley had the original “technology transfer” idea of applying the rig to water well drilling in South Dakota. Note the term “Casey” on the door of the cab, above Don Young’s hat, in the above photo. The engine and two winches (one for the kelly bar and the other for general utility -“free” – line) are shown mounted on the truck. Also shown on the left side of the photo is the lower part of raised derrick, including the pin for rotating the derrick when it is raised. When lowered for transportation, the derrick rests on the carriage above the cab. This design, shown in its early form here, was basically unchanged for many years of rig manufacture for large-diameter, soft-rock drill rigs for water wells and foundation pilings. A later photo of a bucket auger rig of the same basic design, owned and operated by Grimshaw & Bice Drilling Company (Claude and Stanley) is shown below. The sign on the door of the rig reads: “Grimshaw & Bice – Drillers – Foundation Test Drilling – Shallow Water Wells – Phone 334J 3J3 – Chamberlain, So. Dak. The first number was Stan’s and the second was Claude’s. This view of the rig shows the engine, two winches, full raised derrick (mast), mast carriage above the cab, the kelly bar with bucket on the lower end (the yoke above the bucket is turned sideways and is difficult to discern), and “ring gear” below the bucket. Claude and Stan had a “falling out” in the 1950s, and Claude bought ownership of the company from Stan. However, Stan continued in the drilling business, and his son, Sam, operates his father’s former business to this day, based in Rapid City. Stan and Claude had a “rapprochement” in the early 1960s. Both of them remained involved in the drilling business to the end of their lives. 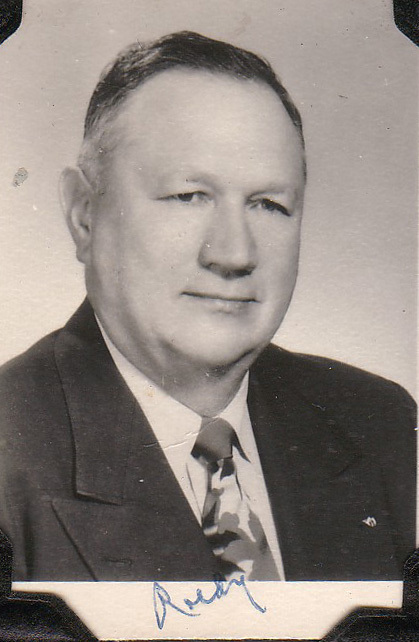 Claude sold his business and left South Dakota in 1961 to pursue other earth drilling opportunities, starting with the George F Casey Company in California. 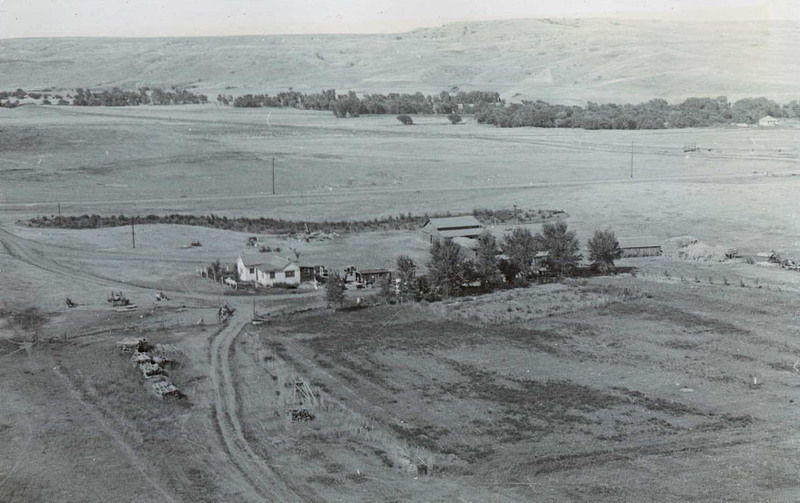 After a career that included world-wide travel in the drilling business (see companion webpage), Claude returned to South Dakota for a brief period and operated a drilling business with his younger son, Joe, near Sioux Falls, before retiring permanently and relocating to Denver and Pueblo, Colorado. Joe has contineud to be involved in the drilling business off and on for most of his life, most recently in Delaware. Make into a companion webpage. Place 3-4 photos here for introduction. Freda and Joe’s home had several articles from this memorable trip, including a highly colored Mexican blanket kept on a piano bench. A silver salt and pepper shaker set from Taxco is in the possession of grandson Tom Grimshaw, and a similar Taxco silver set for cream and sugar has been handed down to Tom’s daughter, Anna Corley.